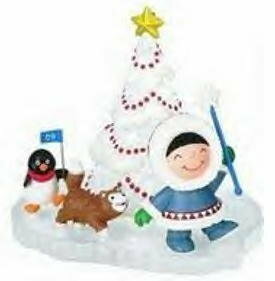 Frosty and Friends are having a wonderful time parading around their decorated Christmas Tree. Special edition. Compliments the Frosty Friends Series. 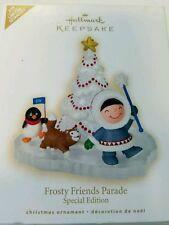 Items Similar To "2009 Hallmark FROSTY FRIENDS PARADE ~Christmas Ornament~Special E..."